← The Lucas Museum of Narrative Art Goes to L.A.
Alexander Hamilton was born on January 11, 1755. He was an American statesman and one of my favorite Founding Fathers. 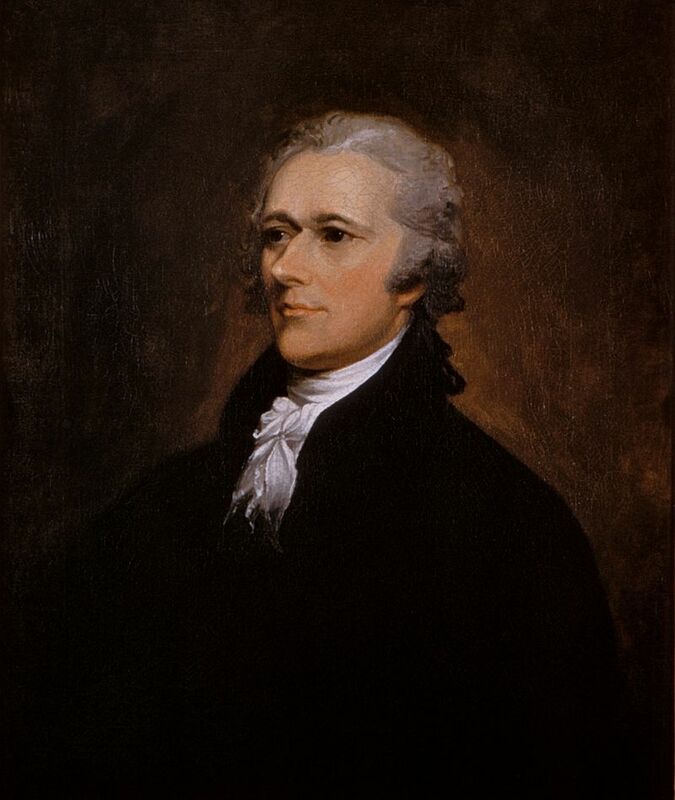 Hamilton was born out of wedlock in Charlestown, British West Indies, to a mother of French Huguenot and British ancestry,and a Scots father, James A. Hamilton. Orphaned as a child by his mother’s death and his father’s abandonment, he was taken in by an older cousin, and later by a prosperous merchant family. 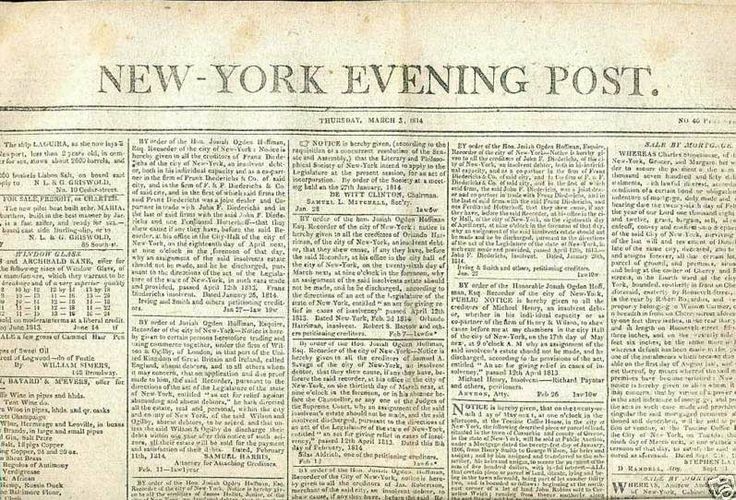 Because of a letter he wrote at 17 to his father describing the hurricane that destroyed St. Croix, he was recognized for his intelligence and talent, and sponsored by a group of wealthy local men to travel to New York City and pursue his education. 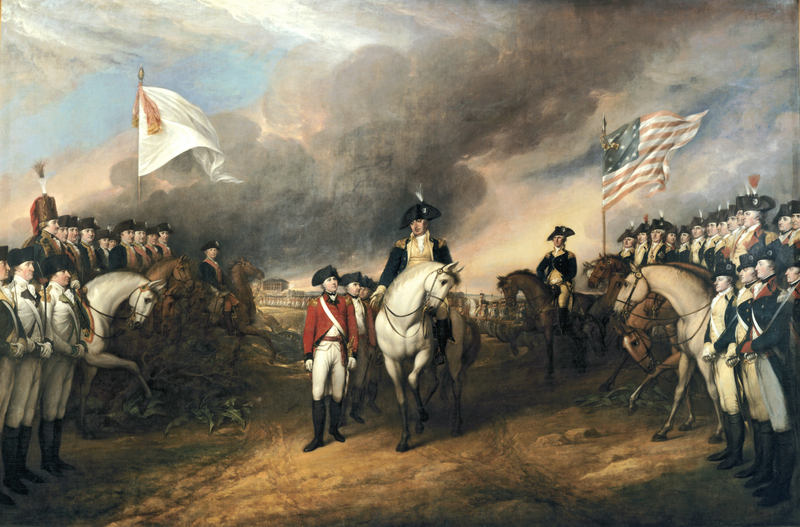 Colonel Hamilton is depicted as the leftmost of the four standing men on the right edge of the painting. 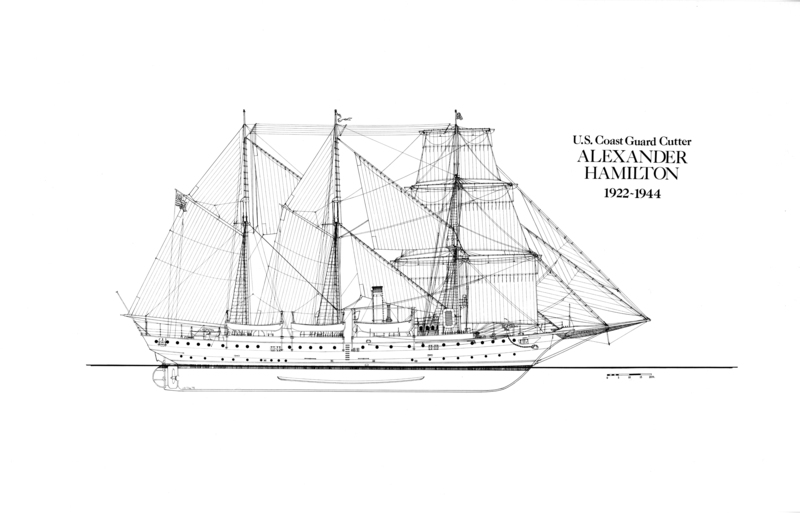 After graduation, Hamilton played a major role in the American Revolutionary War. At the start of the war in 1775, he joined a militia company. In early 1776, he raised a provincial artillery company, to which he was appointed captain. He soon became the senior aide to General Washington, the American forces’ commander-in-chief. He was an influential interpreter and promoter of the U.S. Constitution, as well as the founder of the nation’s financial system who pushed for the creation of the dollar as a national currency. Originally he appeared on the $1,000 bill starting in 1861. This USCG Cutter bears his name. and The New York Post newspaper (the latter, now owned by Rupert Murdock, bears very little resemblance to his original). As the first Secretary of the Treasury, Hamilton was the main author of the economic policies of the George Washington administration. 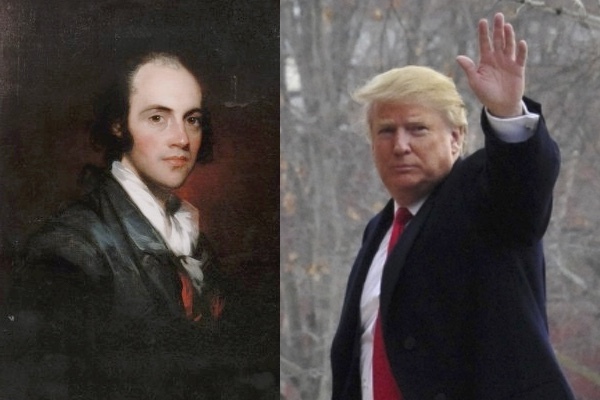 He took the lead in the funding of the states’ debts by the Federal government, as well as the establishment of a national bank, a system of tariffs, and friendly trade relations with Britain. His vision included a strong central government led by a vigorous executive branch, a strong commercial economy, with a national bank and support for manufacturing, plus a strong military. The American Legion post in San Francisco, Post #448 is named after Hamilton. It is the first American Legion post to openly welcome LGBT veterans. Hamilton was famously murdered in a duel by a balding, absurdly thin-skinned New Yorker. Sure glad we don’t have assholes like that in American politics anymore. This entry was posted in Uncategorized and tagged Culture, History, Politics. Bookmark the permalink.